At this point in the Rushcutter sew-along, I thought it would be a good time to talk about toiling. It is best to choose a fabric to toile in, that is similar to what you plan to make the actual garment in. If you are using a lovely sandwashed silk, then you will need something with a similar handle and drape as the silk, so you can get a good idea of what the final garment will look like. Making a winter coat? Choose something with a similar thickness and drape. While I was developing The Rushcutter I made countless toiles. Many of them are ‘wearable toiles’ – meaning that I used a cheapish fabric and finished them properly, but expected to need to make some small adjustments. This way I could wear them around for a few days, and see how each dress really felt out in the wild! We all come in different shapes and sizes, and although I may have the same measurements as the girl next to me, this does not at all mean we have the same body shape. Some of us may have a sway back, forward sitting shoulders (that’s me! ), narrow shoulders, longer legs etc. By doing a toile, you can quickly see if any adjustment needs to be made. 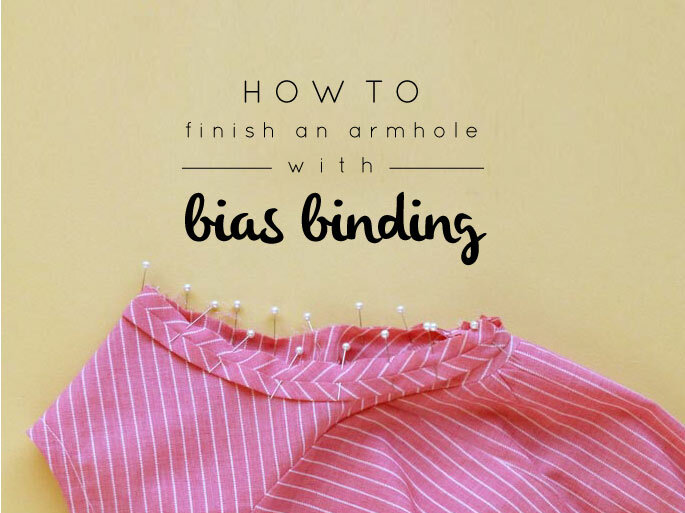 As you sew more garments for yourself, you will get better at knowing what to look for, as you will often notice the same fitting problem across the board. How do I make a toile? Make up the dress in your chosen toiling fabric. You don’t have to add facings, collars or pockets etc. I never bother with buttonholes or zips when I toile, I just pin the opening closed when it’s on. You just want to check the overall fit of the garment, so you will only need the main pattern pieces. There is no need to even finish the seams! Mark the position of pockets so you can check pocket placement, without actually having to sew them. When sewing, consider using a long stitch length, so that you can quickly and easily unpick any seams that need to be altered. You can also use a contrasting thread to make it even easier to see your stitches. 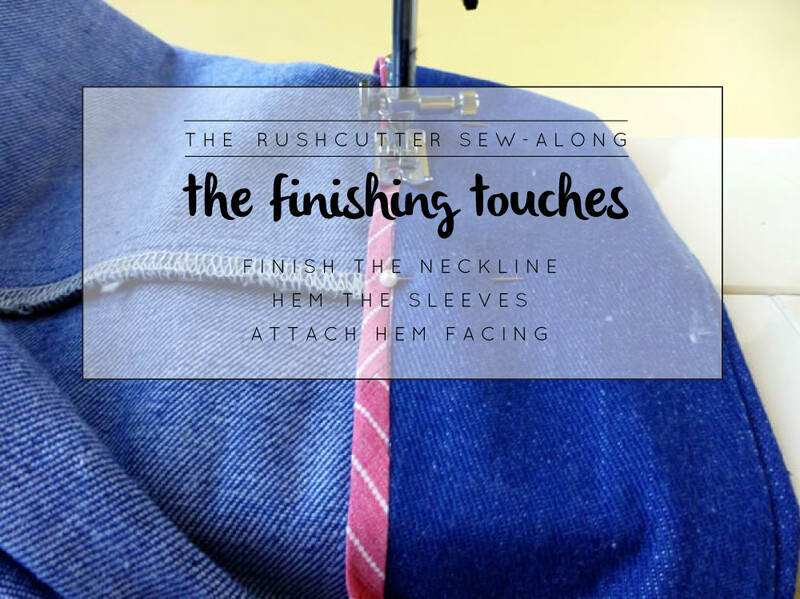 As you will not be adding binding around the neckline and armhole of The Rushcutter, make sure you trim back the seam allowance (1cm) so you can get an accurate idea of how it will look when it’s finished. Try it on, get in front of the mirror and take a look! Is it sitting like it should? How does it feel? Can you sit down comfortably? Can you raise your hands in the air without showing off too much booty? Is it hanging properly? Does it feel too tight in any areas? If you do need to make some changes, then take a pen (or fabric marker / chalk) and draw the changes directly onto the toile. For example, if the neckline is too high, then draw where you would like the neckline to be. If you are toiling in a darker fabric, or making a wearable toile (like I was), then use masking tape to indicate problem areas and mark the changes on that. I also like to use tape to write notes on the toile, if needed. Use a tape measure, or ruler, to make note of any distances / measurements. You can write them directly on the toile (like I do) or write them on a piece of paper. If it feels too big, pin out some of the excess fabric in the side seams and / or centre back. If the dress feels too wide in the body of the dress, pin out the excess in the centre of the SIDE PANEL. Remember, if you bring the dress in at the side, you will also need to reduce the width of the sleeve, as these two pieces join together. On the contrary, if an area is too tight, cut into the fabric and use pins to fill the gap with a separate piece of fabric. Check the length – does it need to be lengthened or shortened? Place a pin horizontally at your ideal length (or take note of how much longer you would like to make it). Is the hem sitting straight? You will see in the image above that the hem lifts slightly at the front - this could be a sign of needing to do a full bust adjustment (my dummy has quite large breasts for her size!) The same goes for the back. If the hem is lifting at the back, you may need to add some length to the pattern. Check the pocket placement (whether it is with actual pockets or just markings of where they are) and make note of any changes required. For View A, check the placement of the shoulder dart. Does it sit on your shoulder and finish at the peak of your shoulder? You will see in the image above, that the dart sits slightly back from the shoulder line. To mark the change I required, I used masking tape to draw in the new dart position (being sure to also mark the dart point). For View B, check that the shoulder seam lies on your shoulder. 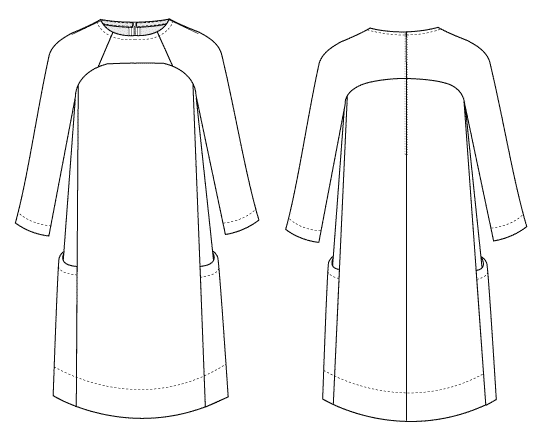 Re-draw the shoulder seam if you feel it needs to be further forward or back. Have you got enough room in the sleeve to bend your elbow? Is the length of the sleeve right? If you have made a lot of changes, you may need to make another toile to check the fit again. If the changes are minor (shortening or lengthening, moving the shoulder dart, changing the neckline etc.) then you will probably be fine to skip making a second toile. In the next post I will show you how to go about transferring these changes to your pattern! Posted on October 28, 2015 by Emily Hundt and filed under sewalong, the rushcutter and tagged toile make a toile the rushcutter sewalong fitting. I hope that yesterday's post in the Rushcutter sew-along inspired you! I know it sure did inspire me. Now that you (hopefully) know what fabric you would like to use, let's talk supplies. 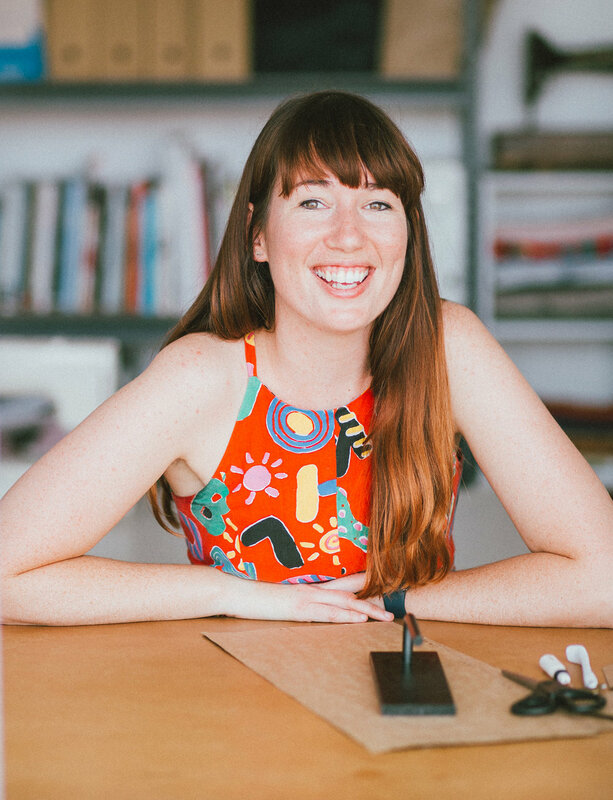 Below is a list of ideal supplies, but before I go on, I must say that I am an advocate of using whatever you've got at home (within reason, of course) for your sewing projects. So if you've got a zip that's a little too long or a little too short, then use it! Buttons a little bigger or small than required? Use them! If you don't have an invisible zip around, then consider using a standard zip. As well as this, consider cutting your fabric flat, rather than on the fold, you'll be able to squeeze your pieces on way less fabric (I will talk about that more when we get to cutting fabric). When you have chosen the fabric you will be using, you will need to wash it, dry it and press it. Use the same method you plan to use when laundering your actual dress, to avoid it shrinking after the first wash! And that's all for today. Tomorrow we'll be talking about sizing! Posted on October 20, 2015 by Emily Hundt and filed under sewalong, new pattern, the rushcutter and tagged sewalong supplies the rushcutter.